When building a successful sales team, the first step is to hire individuals who are likely to succeed. You might be tempted to seek candidates with experience in sales. However, experience is not always a desirable quality. Individuals with prior experience may bring philosophies that do not mesh well with their new organizations. Furthermore, these habits may be difficult or impossible to change. Prior experience also doesn’t indicate well-developed sales skills. Instead, individuals may be looking for new jobs because they were unsuccessful in their previous positions. Consequently, recruiters may benefit from focusing less on experience and more on personality traits. Personality traits such as persistence, dedication, and the drive to succeed are all crucial skills. Being a team player is also important. If sales reps work well with others on their teams, they are more likely to promote their teammates’ success and to receive support in return. If the company setup is such that sales reps oversee their own schedules, new hires must be self-motivated. Two further beneficial qualities are the desire to work with people and a comfort interacting with strangers. If sales reps avoid social situations, they are not likely to succeed. Keep these key traits in mind when building your successful sales team. Building a successful sales team doesn’t end with the hiring process. Once sales reps are hired, they need extensive training in the philosophies and methodologies of their new companies. They should also learn about the departments with which they are likely to interact, such as underwriting or finance. To this end, individuals from all relevant divisions should participate in training. New hires will gain a comprehensive understanding of the company and how it works. Such training should not be limited to a single session. Employees can quickly become overwhelmed if companies attempt to teach them everything they need to know over the course of a weekend. Continuing education is consequently an important element of training. Another useful component is adequate time to socialize with other new hires as well as experienced sales reps. Successful sales reps may wish to share their stories and pass along their knowledge. Early networking can assist new hires in getting off to a strong start. They’ll also benefit from the support of others who are in similar positions. Building a successful sales team requires everyone’s help. New hires would benefit from a mentorship program. Working as a team with someone more experienced may allay new hires’ fears about not knowing how to sell. With a mentor’s support, new hires are more likely to pursue leads, and they are more likely to close. Some companies find benefit in allowing mentors to close during the first few sales so that new hires can see how the process works. Others suggest that new hires shadow mentors throughout entire sales experiences to witness successful sales from start to finish. Eventually, the goal is for new sales reps to become comfortable working on their own. However, continued support from teammates and supervisors is imperative for long-term success. Additionally, supervisors or experienced sales reps may wish to participate in joint sales every so often to provide continuing education. 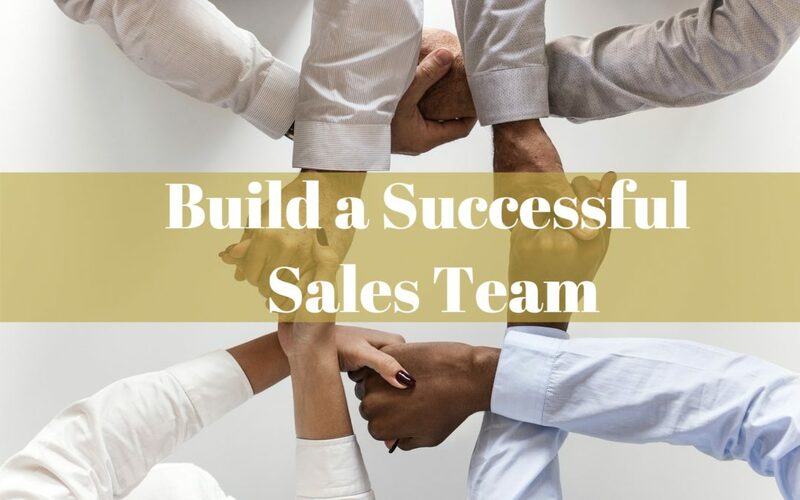 Building a successful sales team means that the sales team will also be unsuccessful at times and must learn how to work through the setback. Throughout training, new hires should be familiarized with rejection. The One Card System, created by Al Granum as a method to promote success in financial services, constantly reminds sales reps of the “10-3-1” rule. This states that ten leads must be obtained to acquire three appointments, of which one will result in a sale. Such rules are useful for teaching sales reps that to hear a,“Yes,” they must first hear multiple, “No’s.” When rules like “10-3-1” become commonplace in the working environment, sales reps become less concerned about rejection. They focus instead on increasing their number of appointments. Naturally, increased appointments lead to more sales opportunities. Another important aspect of building a successful sales team is employee training in need-based selling. Ethical sales reps promote products that fit their clients’ needs. They avoid other products which may result in better commissions but do little for their customer. Sales reps should be taught how to perform needs assessments that are appropriate for their industries and how to match products to client needs. Need-based selling is also more likely to lead to future sales since clients will provide leads to sales reps they perceive as ethical. Therefore, ethical selling is the key to building a successful sales team. Once sales reps can work on their own, supervisors should emphasize tracking their activities. Supervisors need to ensure that sales reps are spending their time on activities that are likely to lead to sales and not wasting their energy on tasks that will not promote success. Adopting methods such as the One Card System, which assigns points to productive activities, may be helpful here. Supervisors can then encourage sales reps to acquire a certain number of points per day. Another way to track sales rep’s activities is to use a management software. Software like Blitz Sales Software provide transparency for supervisors and enable them to see how much work their team has done. Additionally, software like Blitz helps your team to nurture relationships and win more customers with automated sales follow up. The last step to building a successful sales team is to provide them with the motivation to be successful. Opportunities for promotion are key for individuals wishing to build careers, while incentives such as vacations can motivate sales reps to hit certain numbers. Motivate and reward your employees, and you’ve succeeded in building your successful sales team. 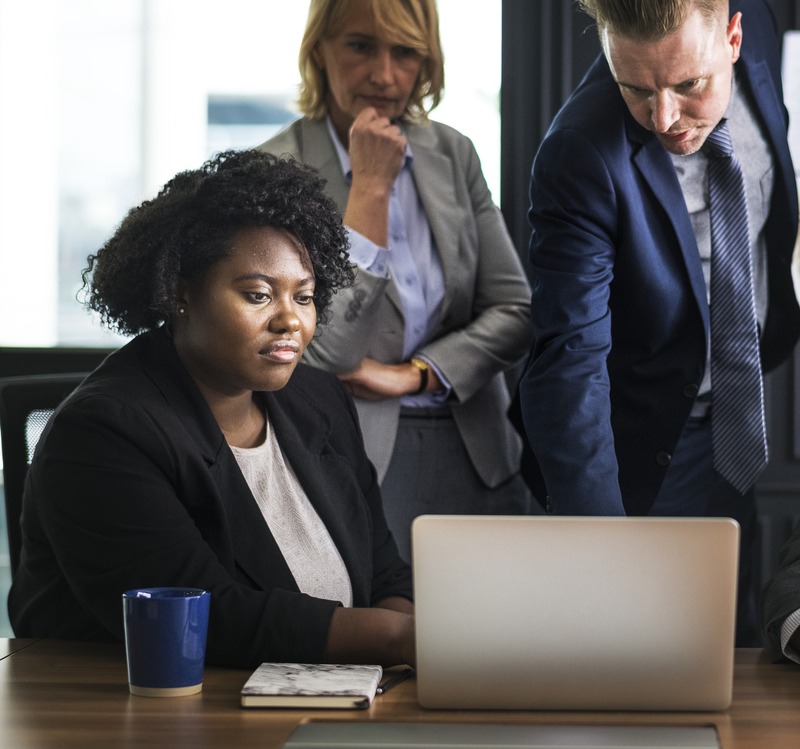 With strategic hiring, sufficient training, extensive support, activity management, and motivation to succeed, sales companies are sure to build effective and prosperous representative teams. Use these steps to improve your process!